Individual photos of each graduate can be purchased from Commencement Photos, Inc. Graduates: be sure to complete the Alumni Information Form to stay in touch. Last day to submit your Petition to Graduate Form to the Registrar's Office and graduation fee. If you have not yet submitted your petition to graduation please do so ASAP! Last day to order your Caps & Gowns through the MCC Bookstore. Caps & Gowns are provided to students at no additional charge. Graduation events are held off campus at St. Anselm College in Manchester. There is plenty of parking available near the arena. Get directions to the Arena. See the Saint Anselm Campus Map. Graduation Invitations are available for pick up two weeks before Graduation in Academic Affairs (Suite 248) and in the Library. Although they are not needed to enter the ceremony, graduates will receive a keepsake set of five invitations. Pick up your Cap & Gown in the MCC Bookstore the week before Graduation. Graduation Photographs will be taken of each graduate throughout the Graduation event and will be available for download from the photographer's website. 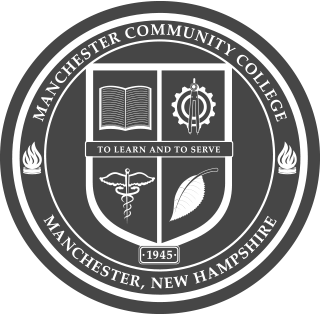 The MCC Marketing department will also be taking photographs that night that will be available for viewing/downloading from the college website. Honor Students with a CGPA of 3.3 or higher will receive a gold honor tassel at rehearsal, provided they have completed ALL of their requirements prior to Graduation. Official Transcripts will be mailed to you after Graduation. If you need any prior to Graduation, contact the Registrar's Office. Academic Issues need to be taken care of immediately. Meet with your Academic Advisors now to ensure completion of degree requirements. Please Note: At the completion of the Spring 2019 Semester, after all grades have been posted, the Registrar's Office will do final degree audits. Students who are still missing courses toward degree requirements will be contacted. Any student who is taking a class(es) at another institution must have transcripts from that institution received by the Registrar’s Office no later than Friday, May 10th, in order to receive a degree at the graduation ceremony. Students who submit transcripts after Friday, May 10th, will receive a blank diploma cover and will have their degree mailed to them after transcripts have been evaluated.